Imagine an entire community of Word Collectors! Here’s a few ideas to spark the love of words in your own backyard. 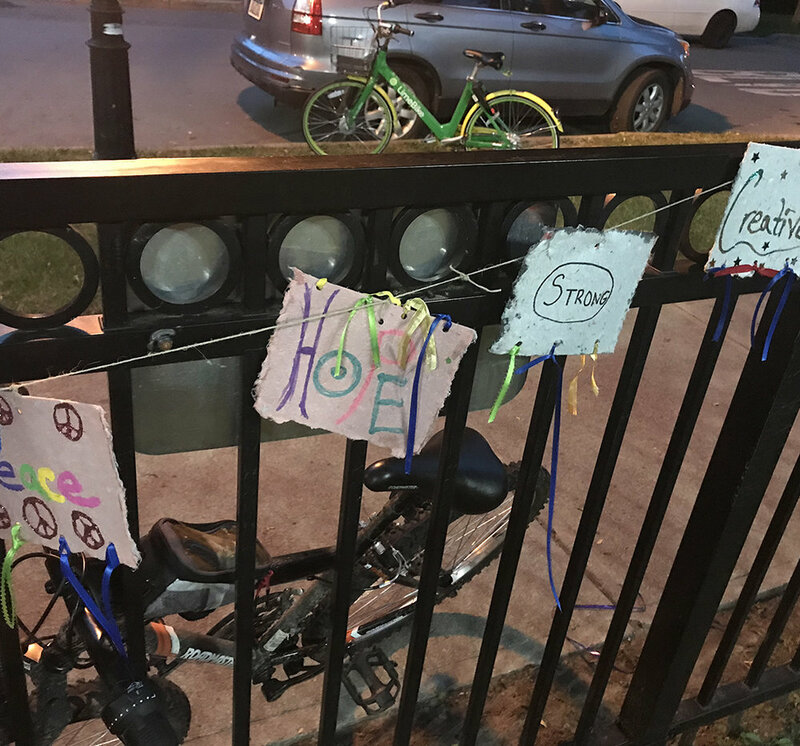 Fences around the community are perfect for sharing word collections with children and community members! 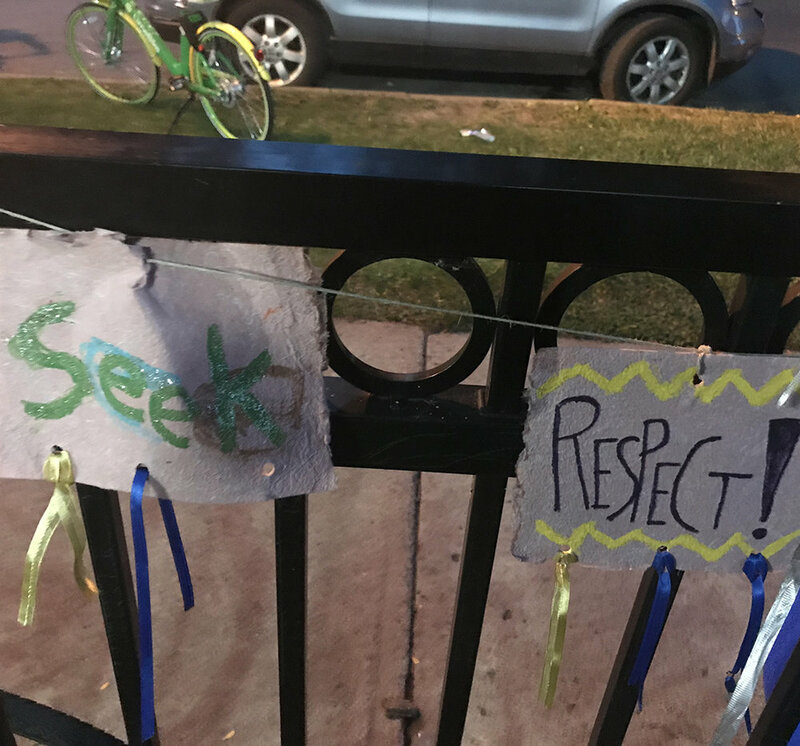 With homemade paper, glitter pens, and fancy ribbon, Dr. Nia Nunn’s Community Unity Music Education Program summer camp counselors helped the children make their powerful words into word art. 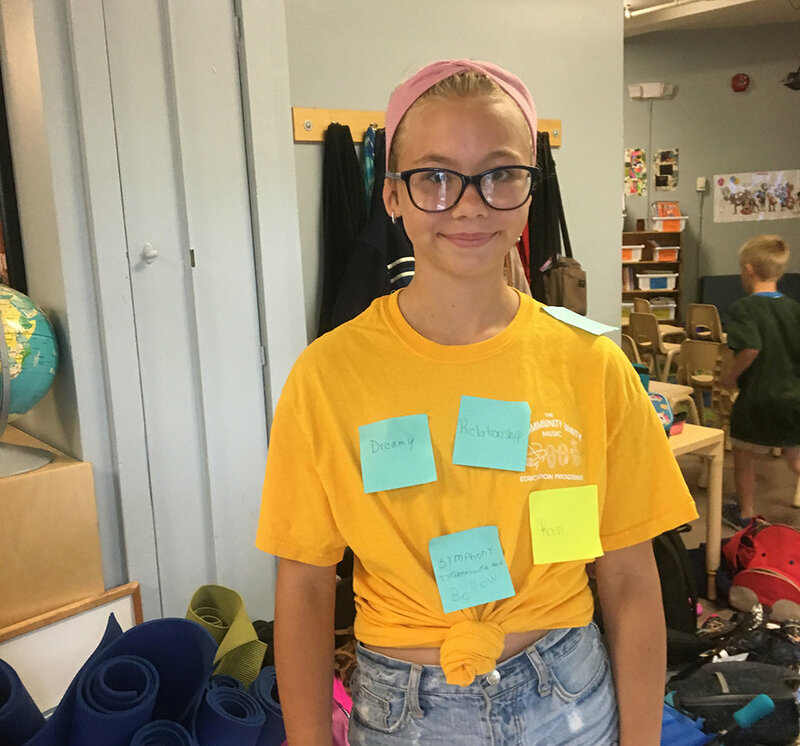 All it takes is post-it notes to spark some exciting word collecting, and children wearing and sharing their favorite words. Children can take post-it notes with words they love off a “Word Wall” of empowering words, or they can write their own favorites on blank post its. From two to 20, children and grown-ups can wear any number of words for fun and fashion . Imagine if word collecting started early, and families knew that nourishing their babies right from the start with loving words would be as important as food! To encourage families with new babies to start collecting loving words, RN Sue Brower creating a huge poster for families to see when they leave with their new babies, and made post-it notes available for families to begin identifying and collecting loving words they plan to say to their babies.